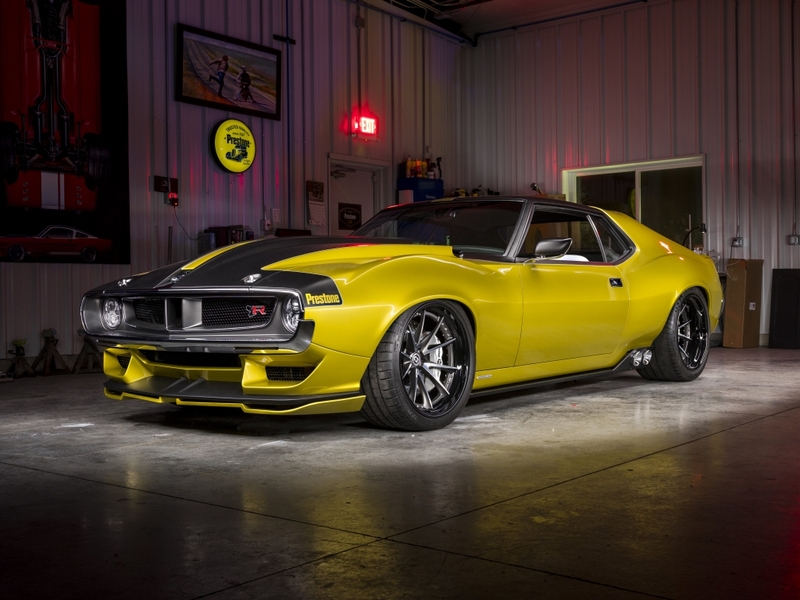 Sometimes things just leap out at us and demand a spot on the homepage here at Flat-Out and this madcap customised AMC Javelin is a prime example. We’ve spent many hours gawping at back street motorcycles but Wisconsin’s very own Jim and Mike Ring, otherwise known as the Ringbrothers, have injected some of that custom cool into one of the most obscure muscle cars ever built. 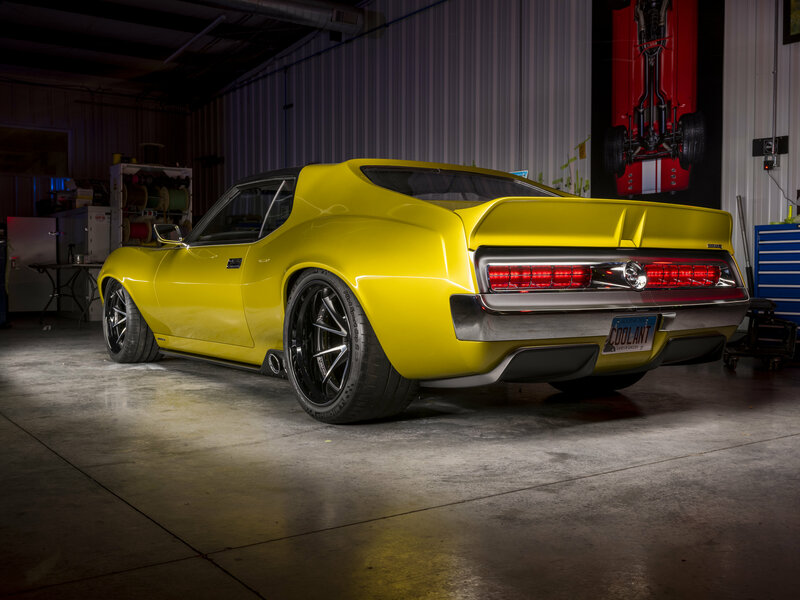 According to the siblings, this 1972 Javelin that had been rolling around their home town for over four decades and it seemed the perfect launch pad to create something truly unique for its client Prestone – a coolant and lubricant manufacturer. Lots of digital design later and the Ringbrothers had finalised the carbon fibre body panels for the AMC Javelin AMX Defiant. They also extended the Javelin’s wheelbase by moving the wheels forward six and a half inches. The car’s arches were moved forward and recreated in carbon to pair with a new bonnet, front bumpers, grille and lower lip. 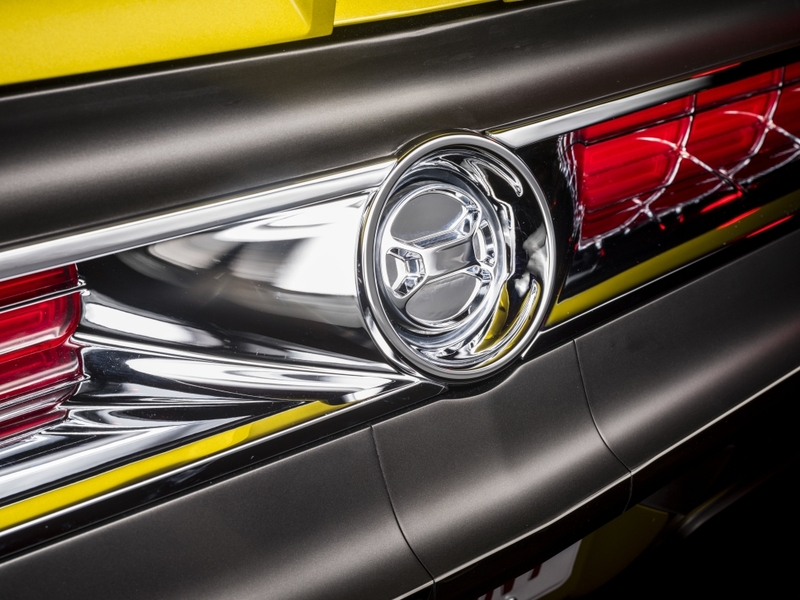 Other custom details include rear lights, bumpers, trim and engine bay accessories all machined out of blocks of aluminium. But hang on, here’s the really wild part. 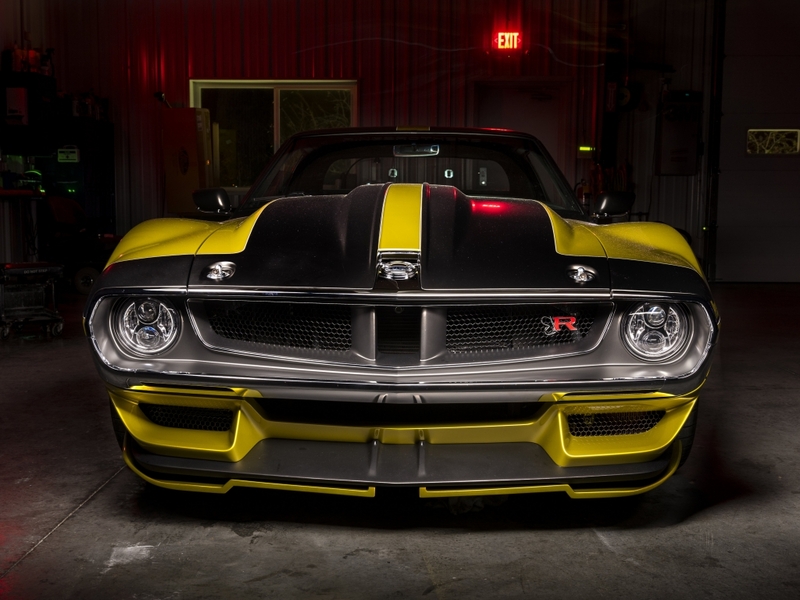 Underneath the bonnet resides a Wegner Motorsports 6.2-litre Hemi Mopar Hellcat engine fitted with a Whipple 4.5-litre Supercharger that produces a mind-blowing 1,036 horsepower. This is funnelled through a Bowler automatic transmission and a hardy QA1 carbon driveshaft to transfer that insane power to the rear wheels. We think you’ll agree with us when we say that it is rather rad. See more about it on the Ringbrothers site.